Are you ready to create your own path to creative and financial success? Are you ready to become an expert on your business? Are you ready to end the isolation of running your own business and problem solve, learn, and plan with the support of other photographers? Curious? Want to find out more? Interested in workshops, professional development & community building? Over the course of the past 4 years I’ve had the opportunity to travel in both Canada and the US to attend workshops with some of the most talented women in the photography industry. One of the most profound observations I had after attending these events and having the chance to talk to photographers from all over North America is that each person created their own path to creative and financial success. There is no ‘one size fits all’ when it comes to owning a photography business and while that means the possibilities are endless it also means photographers often feel overwhelmed by the options available to them when it comes to running their business. I am here to help you create goals, processes, and plans that meet your creative and financial needs. My goal is to create a community of photographers who are committed to their own professional development, adhere to professional standards, but also who want to support others. The purpose of the workshops is to provide accountability, support, education, and problem solving as workshop members navigate their way through their new plans, goals, and strategies. These workshops are an opportunity to share my experiences as a professional photographer with you but also for me to share my professional background as a group facilitator to help you learn, plan, and focus on what you want to achieve. Building my business has been one of the most inspiring, frustrating, exciting, challenging, and fulfilling experiences of my life. When I graduated with a Masters degree in educational counselling I certainly didn’t expect that this is the path my career would take. 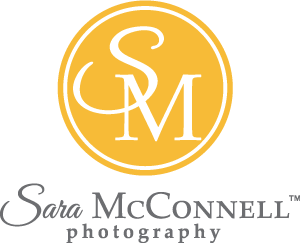 In addition to managing a full-time schedule of sessions for the past eight years, for the past four years I have welcomed hobbyist photographers into my studio for Learning to Use Your DSLR classes as well as Intermediate workshops on low light photography, baby & child photography, photo walks, nature photography, and editing with Lightroom. These courses, and the "For Photographers' workshops, allow me to combine my professional background in education, facilitation and counselling with my passion for photography. A photographer with an open mind and who has set time aside to dedicate to moving forward with the plan you develop as part of the workshops. These workshops are for people who are ready to problem solve, learn, and support others as they work to find the best way to run their business. If you expect that in one workshop you’ll be provided with a cookie cutter business and marketing plan and have all the solutions to running a successful business, these are not the workshops for you. How do you feel about your business? Scared? Confident? Uncertain? Frustrated? Excited? Burned out? One on one support is available for new and experienced photographers who are ready to problem solve, learn, and move forward with concrete plans for their business. Mentoring packages start at $299. I'm here to help! I hear you: change is scary; investing time and money in your business can feel overwhelming; let me help with some of the 'what if's' in the back of your mind. What about the cost of your current business structure? Are you paying yourself enough for all the work and time you invest into your business? Can you really afford to continue working for your current rates, at your current pace? You can earn back the workshop fee when you book just one new client using your newly developed plan. These workshops are designed and priced so that they are accessible but still maximize participants’ returns. I know it’s hard to find time, especially when you have a family or run a business. Or both! I have created these workshops in modules to allow participants to work at their own pace and to choose their learning priorities. Online workshops are broken down into manageable modules so you don't have to worry about childcare, travel, or coordinating your schedule with your partner. Learn, plan, and grow, all from the comfort of your own home. I’ve already been in business for several years and already have lots of clients. What will I get out of this? You may have noticed that people who are successful never stop learning and never stop investing time, money, and effort into their own business, education, and skills. Do you have a solid business plan? Have you consistently met and / or exceeded your artistic and financial goals for the last two years? Are you making money that covers your costs or are you making a profit, paying yourself a salary, and investing money back into your business? If your answer is yes, then send me an email and we can talk about your own next steps. If the answer is no, then these workshops will be a great fit for you. I’m scared to commit the time, money, and to set goals that I may not be able to meet. Fear of failure stops a lot of people from doing so many things. Going into business for myself and taking risks on a daily basis has been the most challenging part of the past seven years for me. I am risk-averse and prefer the ‘path well travelled’ rather than forging ahead on my own. So why did I do something so outside of my comfort zone? My passion for photography and admittedly because so many people told me I would fail. Send me an email and let me know what you’re scared of: let’s talk through it. I will give you one why you should: you’re worth it! It’s so easy as an entrepreneur to put your head down and work through the exhaustion and frustration of trying to build a successful business. It’s time to pause and take the time to evaluate what you’re doing, why it’s working (and not working), and what you need to do differently. Why would I want to be a part of a group of photographers? Owning your own business can be an isolating experience. The combination of business and artistry makes photography a unique industry that most people outside of cannot relate to. The workshops and private online groups gives you access to others in your industry who can support you, encourage you, and help you problem solve. Send me an email with any questions you have, even the ones that you think 'can I even ask this?'. I’m happy to help you figure out how you can benefit from this workshop! The Artistry (Shooting & Editing): The learning opportunities for photographers to develop their photography and editing skills are endless however the seemingly limitless availability of photography courses and workshops can sometimes be detrimental to business owners. Understanding the strengths and weaknesses of your current skill set as well as what professional development opportunities would best meet your business needs is key to meeting client expectations, saving time and money when photographing and editing sessions, and solidifying a style that is in line with your brand. Business Systems and the Client Experience: Choosing the right business systems for your style of photography and business model is daunting when the options seem endless and every photographer has a different program or system to recommend. Understanding the strengths and weaknesses of your current business skill set is key to understanding how to choose business systems that meet your needs, how to implement systems that you can use with ease, and helping you to create a client experience that is both positive and profitable. Pricing and Budgeting: Establishing profitable products and services is one of the most challenging aspects of business ownership for both new and experienced professional photographers. Understanding the strengths and weaknesses of your current pricing model and budget is key to understanding how to structure your budget, how to improve profitability, and how to critically analyze your revenue and expenses. Advertising and Social Media: Marketing, advertising and social media strategies that are built on the ‘why’ and mission of your business are not only effective but efficient. When all our promotional decisions are guided by the same values we have consistency, clarity, and authenticity. Our clients are able to identify with our business and remain loyal and engaged because they are attracted to our shared values. Established photographers who are looking to improve upon the business they've already built but need additional business skills, accountability, and support. Developing a weekly and monthly plan to focus your learning efforts on skills that meet both your artistic and financial needs. Critically reviewing your current marketing efforts (online, in person, referral etc). Analyzing your sales funnel and identifying actionable steps you will take to reach and connect with potential clients. Developing a weekly and monthly plan to interact with and book new clients.